I accidentally created a partition of 1.05GB space. Went to Disk Utility -> Partition, and I clicked on the - sign to remove it and hit "apply". I have another 40GB of free space partition after this 1GB partition that I want to merge with so can I get back to a single partition for an entire disk again. Any ideas how I could fix this? The Terminal application commands are shown below. The first command deletes your 54 GB Untitled partition. 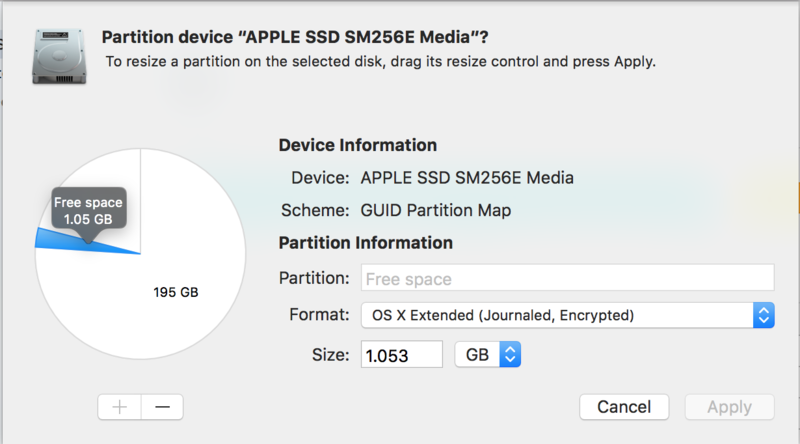 The second command merges all the free space back in to the other partition. Not the answer you're looking for? 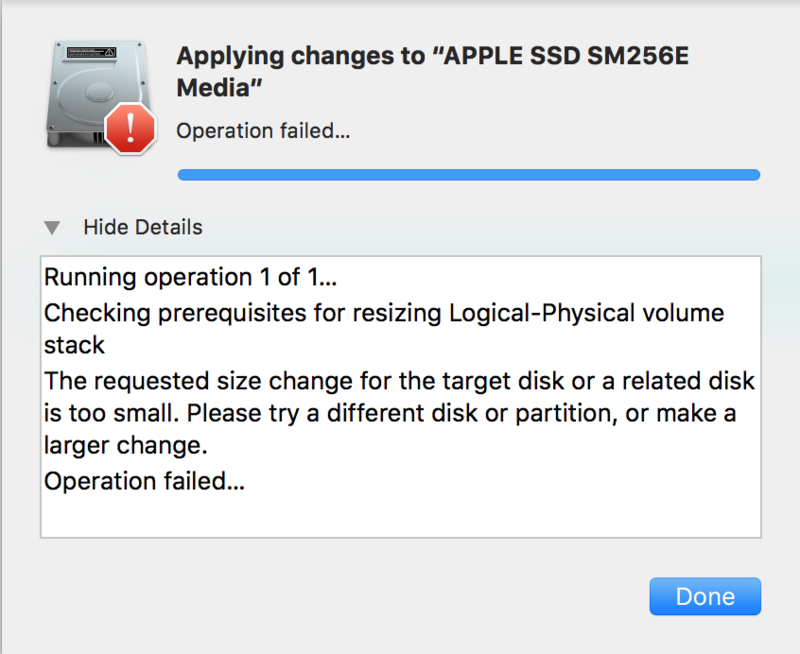 Browse other questions tagged el-capitan disk-utility .